Like machines in industrial factories in the previous decades, robots have the potential to dramatically change business workflows in the coming years. Robotic process automation (RPA) refers to "robotic" software that can automate a variety of business processes throughout the enterprise. Robotic Process Automation is similar to IT automation, which is already in place within many organizations, but smarter. It makes use of artificial intelligence (AI) and machine learning techniques that allow the software to respond to unexpected or unknown conditions. Once RPA software understands how to behave by studying existing processes and applications, it can apply what it's learned to new situations and even communicate with other systems of its own accord. No matter the industry or the number of employees on your payroll, implementing RPA within your own organization has the potential to radically change your workflows for the better. However, in order to be successful, any attempt to use RPA must be carefully planned, with clear-cut goals, stages and metrics. Just like you would draw up a blueprint for a house before purchasing building materials, you need to chart a course for how RPA will be part of your digital transformation. 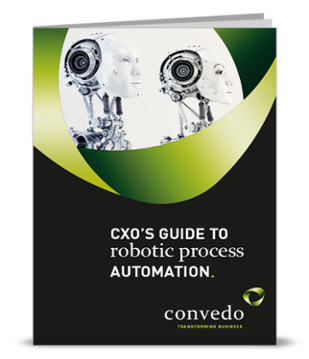 The nine steps below provide a guide for organizations looking to harness the power of RPA for their business processes. To continue the house analogy above, creating a blueprint first requires you to speak to the client about what they want from the project. For example, how many bedrooms do they need and do they want an open-concept floor plan? Similarly, before you even dip your toe into the RPA waters, you must have a sense of what you plan to achieve with it. Your goals may include improving efficiency and productivity, moving workers to higher-priority activities and enhancing the end user experience. Of course, after identifying candidates for automation, you then need to analyze them to find the best choices. Bring together a team of experts who are familiar with RPA, the selected processes and the details of their implementation. This team should discuss both the business value of automating these processes and how feasible it is to do so. If you plan to incorporate RPA as a long-term part of your IT strategy, it needs to be aligned with your broader business objectives and initiatives. Also, cooperation with the IT department will be critical in order to receive the training and live data that the system needs to learn and improve. In larger enterprises, RPA should be overseen by an executive or project management office (PMO). Since RPA will have a substantial effect on the rest of your organization—including employees' roles and responsibilities—you need to anticipate the changes that will ensue once it rolls out. For example, a new RPA-aided process may require the input of fewer people, but people who have more or different skills and knowledge. Any organization looking to implement RPA should have a formal document describing the expected changes and how the business plans to address them. Before deploying a full enterprise-wide RPA solution, you should run a small pilot program or proof of concept that demonstrates the feasibility of your plan. If possible, this project should first be held within a test environment so that your business operations can continue unaffected and then pushed out and integrated with systems in production. The knowledge you gain here should be combined with your output in the previous steps to produce a final solution. If your pilot has been successful, the next step is to launch a full RPA initiative. This process will follow a familiar series of steps: defining the technical and business requirements, planning the solution and coding and deploying the software. At this time, you should also begin any training initiatives that you planned for in step five in order to make the transition as smooth as possible. Of course, using RPA doesn't end once the software is pushed out to production. During the planning phases, you should have defined a clear set of metrics and key performance indicators (KPIs) that will allow to judge the success of the new system. Some possible metrics for RPA tasks include a higher degree of accuracy, improved productivity and a better end user experience. Like RPA software itself, your organization should learn from experience. RPA development is an iterative process, not something that can run on autopilot once deployed. Switching to an RPA-assisted workplace requires your commitment to make changes and improvements as you go along, based on metrics, user feedback and other factors.